Have you ever had cold-pressed juice? If not, know that it’s not like the sugary, concentrated orange juice that may be sitting in your refrigerator. The pricey beverage, which can cost up to $10 for a 16-ounce bottle or as high as $12 for 12 ounces, has become so popular that you can probably find it on the menu at your favorite local coffee shop. So what is it and why is it so expensive? Cold-pressed juice is the result of a hydraulic press extracting juice from fruits and vegetables. According to foodinsight.com. there is “no additional heat or oxygen used in the process, meaning that no nutrients are lost in the heat of traditional pasteurization.” The end product is also a result of approximately 7 tons of pressure applied to two to six pounds of produce for every 16-ounce bottle, which explains why cold-pressed juice costs a good chunk of change. That’s a lot of produce! All of the A-list SWEAT-lebrities are downing the stuff because it increases their intake of fruit vegetables, enhances energy, and supercharges the immune system. If you’re considering savoring cold-pressed juice too, here are 6 brands worth sipping on. This vitamin-packed juice made by BluePrint is filled with arugula, kale, apple, ginger, romaine, spinach, cucumber, celery, and lemon. Although off-putting to nonveggielovers, the rich green color tastes better than you’d think. This drink has plenty of Vitamin A and of course no added sugars. Give it a try if you're able to find it at your local Whole Foods. 2. Dig Inn's "Serious Green"
Dig Inn, a chain of locally farm-sourced restaurants that was founded by Adam Eskin. 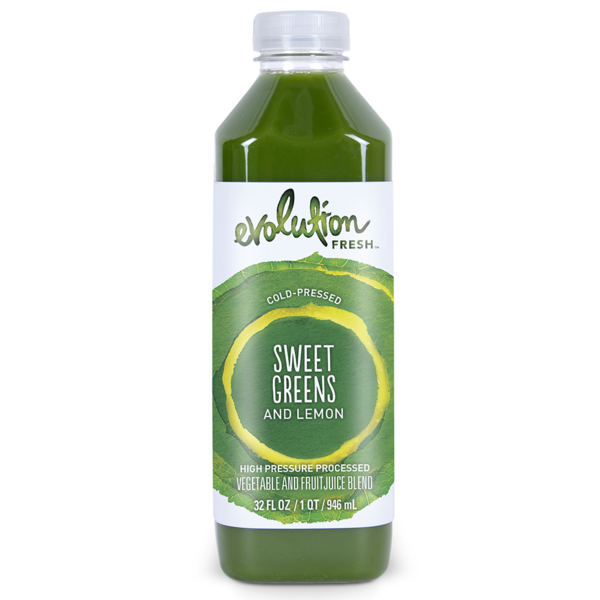 In 2011, makes a variety of cold-pressed juices including the Serious Green with romaine, cucumber, apple, kale, spinach, celery, parsley, lemon, and ginger. The delicious green juice is one of the best you can find in New York. This juice option, which contains celery, heat grass, apple, romaine, clover sprouts, cucumber, lemon, lime, spinach, and kale, has only 16 grams of sugar, while most other juices exceed 30 grams. #Winning! 4. Juice Generation's "Supa Dupa Greens"
The signature drink by Juice Generation consists of two pounds of blended product. You can find apples, celery, cucumber, kale, lemon, collard greens, parsley, and spinach in what they call “ a super-sized salad” that you sip through a straw. With “more than 3lbs of organic goodness,”. #GetYourGreens cold-pressed juice helps you consume your required vegetables for the day. The drink is also known to have a high nutritional value, improve digestion, and serve as a gentle detox. Made with coconut, honey, almonds, acerola cherry, cinnamon, vanilla bean, nutmeg, and filtered water. Suja’s bestseller is Vanilla Cloud. This sweet juice is one of the non-green juices that will blow your mind. What do you think Sweat Sisters? Are you ready to venture into cold-pressed juice? Tell us which one you want to try in the comments below!